For a country that prides itself on its openness to the world, Canada makes its borders surprisingly impenetrable for millions of people who want to visit from abroad. Last year alone, Canada refused entry to nearly 600,000 people who wanted to come for a short stay for tourism, school, business, academic conferences or simply to see their families. And the refusals have skyrocketed: The number has more than doubled since 2012, according to data obtained by The Globe and Mail. The trend has huge implications for Canada’s relationship with the world, yet the issue is rarely debated. Entry decisions are left to mid-level bureaucrats, and little information is provided to applicants, even though the rising number of refusals and opaque application process can damage Canada’s reputation on the global stage. Part of the trend is simply due to globalization. People are more mobile, formerly poor countries have more wealth and the number of entry-visa applications has soared in recent years, leading to a larger number of visitors. But the data also suggest it is becoming tougher to get into Canada, and the odds against applicants are rising. In 2012, the number of rejections was about 18 per cent of the total number of applications for Canadian visitor visas (excluding student visas). By last year, the refusal rate had increased to 26 per cent. And in the first three months of this year, the refusal rate had risen again to about 30 per cent. Similarly, the refusal rate for student visas has also increased, from 26 per cent in 2012 to a new rate of 33 per cent last year. Statistics obtained by The Globe from the federal immigration department show that the highest refusal rates are clustered in Africa and the Middle East. Over the past two years, Canada rejected more than 75 per cent of visitor applications from countries such as Somalia, Yemen, Syria and Afghanistan. Other countries are affected, too. About 200 delegates, including dozens of Chinese government officials, were denied visas to attend a recent conference of the World Guangdong Community Federation in Vancouver. When scholars gathered at Queen’s University in early May for their annual African studies conference, the program had a dozen gaps. Twelve invited scholars from Africa were denied an entry visa or could not obtain one in time. Organizers had to scramble to find replacements or combine sessions to make up for missing panelists. “It’s frustrating and disruptive, and it discourages people from coming next time,” said Belinda Dodson, a geographer and Africa migration expert based in Ottawa. were rejected in the past two years. THE GLOBE AND MAIL, SOURCE: IMMIGRATION, REFUGEES AND CITIZENSHIP CANADA. increased to 30 per cent. The World Economic Forum, which conducts an annual study of travel and tourism competitiveness around the world, puts Canada’s visa requirements among the most complex and opaque in the world. In a 2017 survey that ranks 136 countries from best to worst when it comes to the difficulty of their visa rules, Canada placed a dismal 120th – a drop of 14 places from an earlier survey in 2013. The process is about to become even more difficult. Beginning on July 31, visa applicants from Africa, Europe and the Middle East will be required to give their fingerprints at a foreign-based application centre. The rule will be imposed for Asians and Latin Americans at the end of December. In most cases of denied visas, Canadian officials say they are not satisfied that the applicants would leave at the end of their visit. Officials can reject an application if they believe the applicant has not shown evidence of sufficient funds to pay for their stay, or has close family or financial connections to Canada and looser ties to their home country. Denying visas to tourists or business investors costs the country millions of dollars in potential revenue. Canadian tourism promoters say the visa system is one of their biggest headaches. The Tourism Industry Association of Canada, which estimates that tourism employs 1.7 million people in Canada, says the visa application process is “an area of significant concern.” It can be an “unnecessarily complex” barrier to visitors, it says. And there is a more intangible cost. When officials reject an application from a respected scholar or activist, it often leads to a flurry of negative publicity, undercutting Canada’s image as progressive on freedom and human rights, especially when the poorest countries seem to suffer the highest refusal rates. “It casts Canada in a poor light, belying the government’s encouragement of transnational exchange of academic research,” Audrey Macklin, a law professor at the University of Toronto, said after many African and Asian scholars were denied visas to attend a recent conference she helped organize in Toronto. 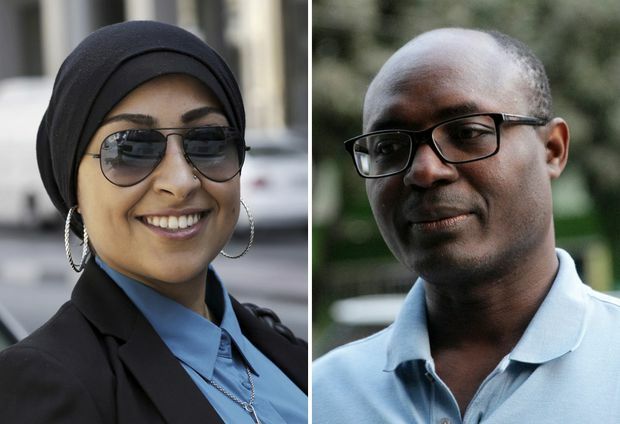 Angola’s most famous anti-corruption campaigner, Rafael Marques de Morais, and a prominent Bahraini human-rights activist, Maryam al-Khawaja, are among those who were recently denied visas to visit Canada, although the decisions were reversed. Both had been penalized in the visa process for criminal charges against them – even though they were charged by authoritarian regimes as a result of their human-rights work. Activists Maryam al-Khawaja of Bahrain and Rafael Marques de Morais of Angola are among those whose visa applications to Canada have been denied. Requests for Canadian visas have surged to record numbers in recent years. Applications increased from about 1.3 million in 2012 to about 2.3 million last year. Many of the new applicants are tourists or business visitors from booming countries such as China and India who have more money to travel. But the surge has been accompanied by an even faster growing number of rejections. The government insists it can handle the dramatic rise. “Updated technology allows the department to take advantage of capacity anywhere in our global network so that applications can be processed quickly,” Shannon Ker, a spokeswoman for Immigration, Refugees and Citizenship Canada, said in response to questions from The Globe. But errors can happen. Shuvai Mandigo, a 38-year-old Zimbabwean with eight years of experience in community development work, won a scholarship to study at the Coady International Institute in Nova Scotia – but was denied a Canadian student visa. Officials mistakenly told her she had applied in a different category. She applied a second time, and was again denied. Officials decreed that she might try to stay illegally, even though she visited Canada twice before and returned home both times. The House of Commons standing committee on citizenship and immigration, in a report last year, recommended that Canada provide more detailed information to applicants to explain its visa denials. “It is possible to provide failed applicants with a more fulsome explanation, while maintaining fast processing,” the committee said. The soaring number of visa applications could be leading to mistakes and arbitrary rejections in an overly hasty processing system. Rejections typically come in a terse and generic letter that provides no explanation of the specific reasons for the denial. In many cases, Canadian civil servants have not made the decisions, because Canada has outsourced the job to private foreign firms in the countries where the applicants originate. The Canadian branch of Amnesty International often invites foreign human-rights activists and civil society leaders to Canada for meetings and conferences. “Every time we are faced with this, we steel ourselves for what we know is going to be an arduous, fraught and highly unpredictable process,” said Alex Neve, secretary-general of Amnesty’s office in Canada. Foreign human-rights activists have suffered “blatantly discriminatory” visa delays and denials from the Canadian government for years, Mr. Neve said. They are forced to “jump through an immense number of hoops” to get the paperwork Canada demands. Annie Bunting, an Africa expert at Toronto’s York University, says two Nigerian colleagues were denied visitor visas to Canada for a conference where they were due to present their research. 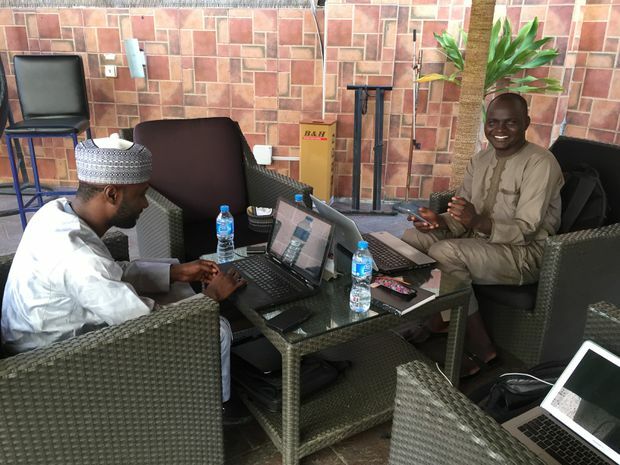 The two Nigerians, Lawan Balami and Umar Ahmad Umar, are shown in Abuja in September, 2017. Ms. Bunting says their participation in the Toronto conference had been funded by a federal grant, but their visas were denied all the same. The government denies any discrimination. “All applications from around the world are assessed equally against the same criteria,” Ms. Ker said. But not every applicant is equal. One of the factors visa officers consider is the “economic and political stability of the home country,” according to Mathieu Genest, press secretary to Immigration Minister Ahmed Hussen. Mr. Neve expressed particular concern about the high refusal rates for visa applications from countries with serious records of human-rights violations, such as African and Middle Eastern countries. He said those applications require even more special attention to ensure people are not penalized because they’re from a certain country. Annie Bunting, a social sciences professor and Africa expert at York University, said two of her Nigerian colleagues were recently denied visitor visas to travel to Toronto, where they were scheduled to present their research at a law and society conference. Their participation had been funded by the Social Sciences and Humanities Research Council of Canada (SSHRC), a federal research funding agency. One of the scholars, Lawan Balami, a medical doctor and researcher, was planning to present research on women and girls kidnapped by Islamist radical group Boko Haram.